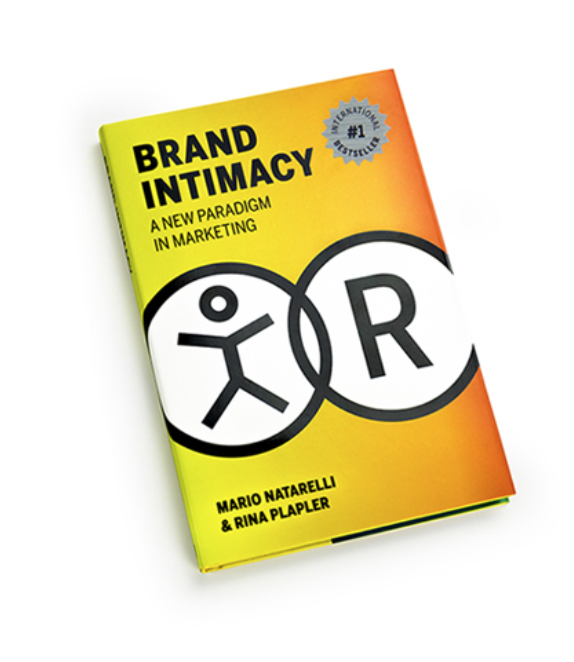 Brand Intimacy: A New Paradigm for Marketing by Mario Natarelli and Nina Plapler rewrites the rulebook on how to establish your brand, connect with your consumers and expand your market presence—all while increasing sales and consumer satisfaction. 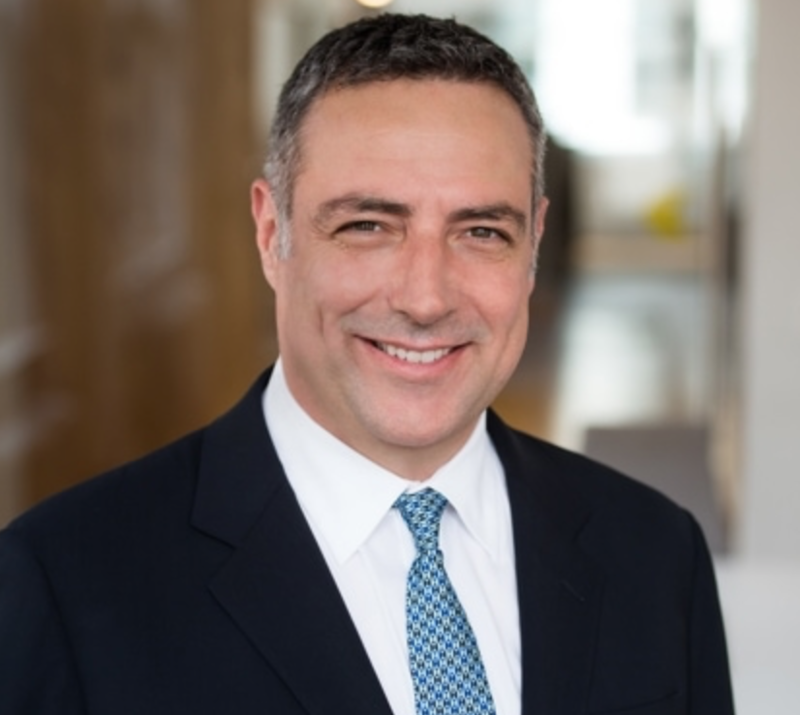 Mario is the Managing Partner at MBLM, New York and an established marketing leader to executives and their companies. Over the past 20 years, Mario has helped companies of every size and type, working across the globe to transform, align and manage their brands to deliver growth and value. Prior to MBLM, Mario was the CEO of FutureBrand North America and Middle East and was the co-founder of HyperMedia. He is a graduate architect with a degree from the University of Toronto. We interviewed him about Brand Intimacy, and on the power of appealing to instincts and emotions. Why do the old approaches to branding no longer work? Let’s face it, if you’re a brand today, just being noticed, meaning, rising above the saturation of the marketplace, is a major challenge. The average person watches 12 hours of media each day and checks their phone over 110 times a day. Brands are being redefined by their users, not their owners or creators. What a brand stands for – how it behaves, relates, and appears in a customer’s life is now heavily influenced by consumers. Eighty-four percent of millennials don’t trust traditional ads. The way we interacted with brands 20 years ago is irrelevant today. And yet we use the same methods for measuring, building, and managing brands. We like to say that branding is no longer just art and science; rather, it’s psychology, technology, and just a bit of new religion. Today, brands must spread their message across numerous channels and platforms, and be prepared to build a community of engagement. It starts with the understanding that 90 percent of decisions are made on emotion. Almost every decision we make is based on emotion, not rational thought and measured consideration. Brands that do well today are the ones that touch peoples’ emotions in deep, meaningful, and authentic ways. What this suggests is that to influence decision-making, you have to appeal and connect to people’s emotions. We did extensive proprietary research, and also assessed multiple theories and models and studied the psychology of intimacy. A key finding was that Brand Intimacy parallels human intimacy. People have a standard way of developing significant relationships with another person or brand – the steps are similar, the processes are the same, and the outcomes aligned. Brand Intimacy results in greater longevity, more growth, and higher price resilience. We see that as consumers move from non-intimate to highly intimate relationships, so does their willingness to pay a premium for the brand. Other key findings are that Brand Intimacy happens in stages and that intimacy is not permanent. Without work and dedication, intimacy can become indifference, which is its opposite. We’ve also found that technology can be a double edged sword and can both enable and diminish Brand Intimacy. 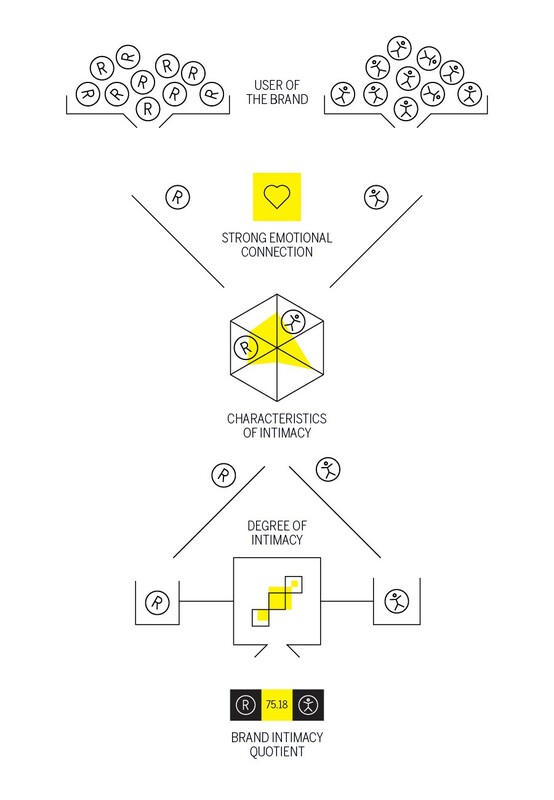 We’ve defined a Brand Intimacy model around six archetypes and three experiential stages. Erik Erikson’s definition of intimacy: “the ability to fuse your identity with someone else’s without the fear that you’re going to lose something yourself,” helps us frame what we mean by Brand Intimacy. Can you explain the Brand Intimacy model? Our Brand Intimacy model is made up of the key components that contribute to building intimate brand relationships. Of course, it goes without saying that you have to be a user of the brand to be intimate. We use six archetypes, or markers, to measure the character and nature of emotional bonds between a person and a brand. The model is built on behavior, not academic theory. This helps us look at brand management from a holistic perspective. Everything a company does, including howit does things, makes a difference. Let’s look at the three stages of Brand Intimacy – sharing, bonding and fusing – which comprise a number of emotional and rational milestones that are achieved when brand relationships become more intimate. Consumers might vacillate between two stages before moving forward; some stages, due to a variety of potential factors, might move faster or slower than others. What are your Brand Intimacy rankings telling us? 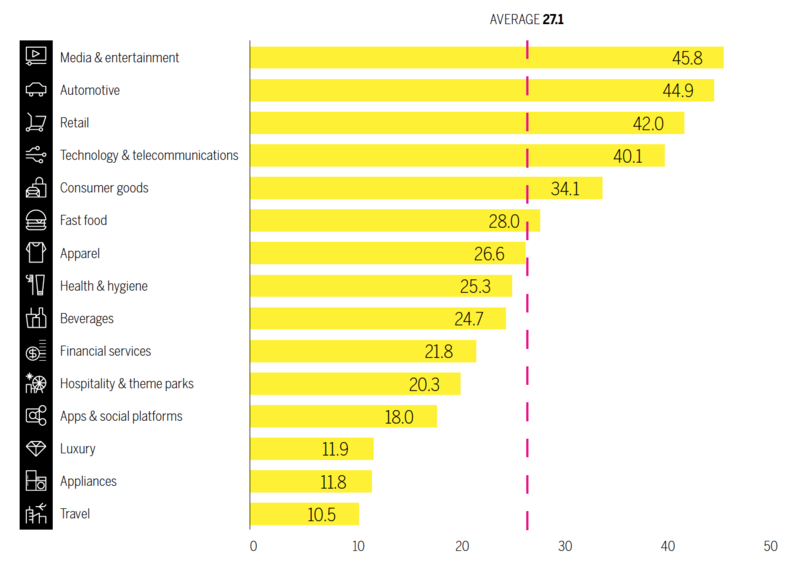 Are some industries more fit for Brand Intimacy than others? Our Brand Intimacy Report2018 is the most comprehensive study of brands based on emotion. 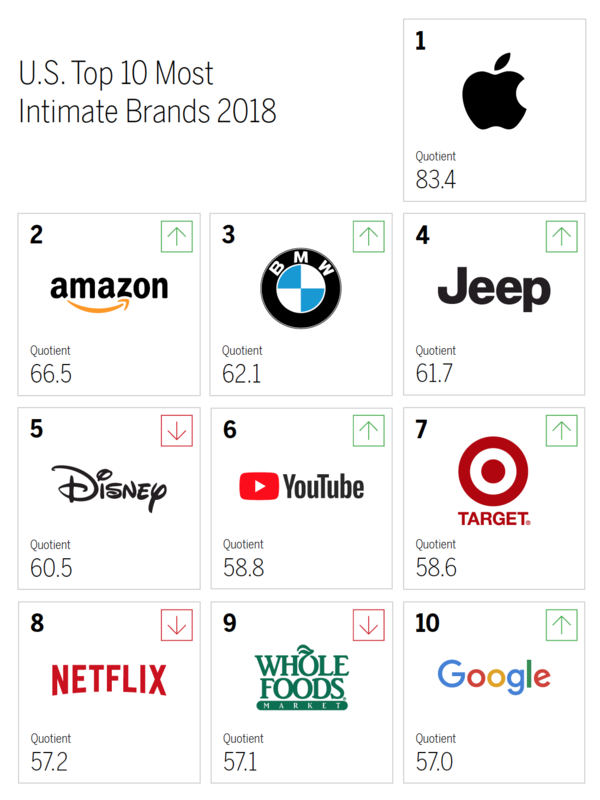 This year’s U.S. Top 10 Most Intimate Brands demonstrates the growing dominance of media & entertainment, emerging as the year’s most intimate industry and, along with apps & social platforms, linked to ritual, becoming habit forming. Apple, for the third year in a row, remains in first place, considerably ahead of all other brands. Google breaks into the Top 10 for the first time. And yes, certain industries fare better than others.For example, the media & entertainment industry just passed the automotive industry for the first time this year as most intimate. Automotive still performs well, as does retail. However, the travel industry lags the rest by a significant margin. Apps & social platforms are weak, as are appliances and luxury. What are the common pitfalls on this journey? Too often companies neglect their brand essence – their core foundation – either because they ignore it or they do not acknowledge the changing business landscape. They neglect the intangible, emotional impact of their brand because they don’t know how to measure emotional connections. Or they may lack an authentic story. Even worse, well-executed brand experiences can by hamstrung by antiquated infrastructure and processes. Where should companies begin? How do they become architects of Brand Intimacy? Are your customers increasingly passionate or indifferent? Why? Brand Intimacy is a discipline that can be acquired – and increasingly an existential question.